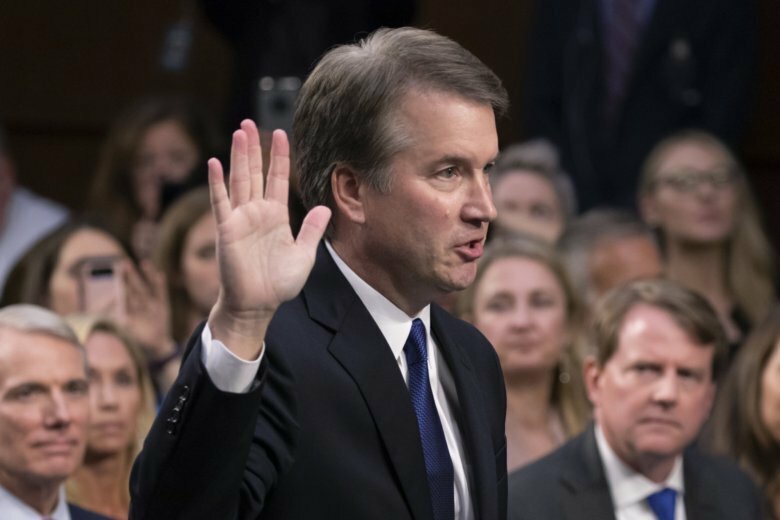 NEW YORK (AP) — In a story Sept. 17 about the political effects of allegations against Supreme Court nominee Brett Kavanaugh, The Associated Press erroneously identified Tennessee Senate candidate Marsha Blackburn as an incumbent senator. Blackburn currently serves in the U.S. House of Representatives. NEW YORK (AP) — With the fate of President Donald Trump’s Supreme Court nominee suddenly uncertain, emboldened Democrats clashed with cautious Republicans on Monday as both parties grappled with an increasingly messy nomination fight weeks before the pivotal midterm elections.